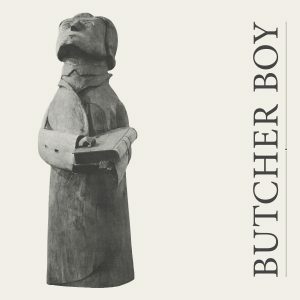 Butcher Boy has existed in its current form since early 2005, but lead singer John Blain Hunt has played in various incarnations of the band since the late 1990s. Initially, Butcher Boy didn’t have any songs; John was a resolute left-hander and could barely play guitar. But he enjoyed sending anonymous poetry to local papers under the guise of Butcher Boy in the hope of engaging the writers through their columns. Butcher Boy was about books by George Orwell and Charles Schulz… it was about films by Bill Douglas and Robert Bresson… it was about records by Vince Guaraldi and The Smiths. 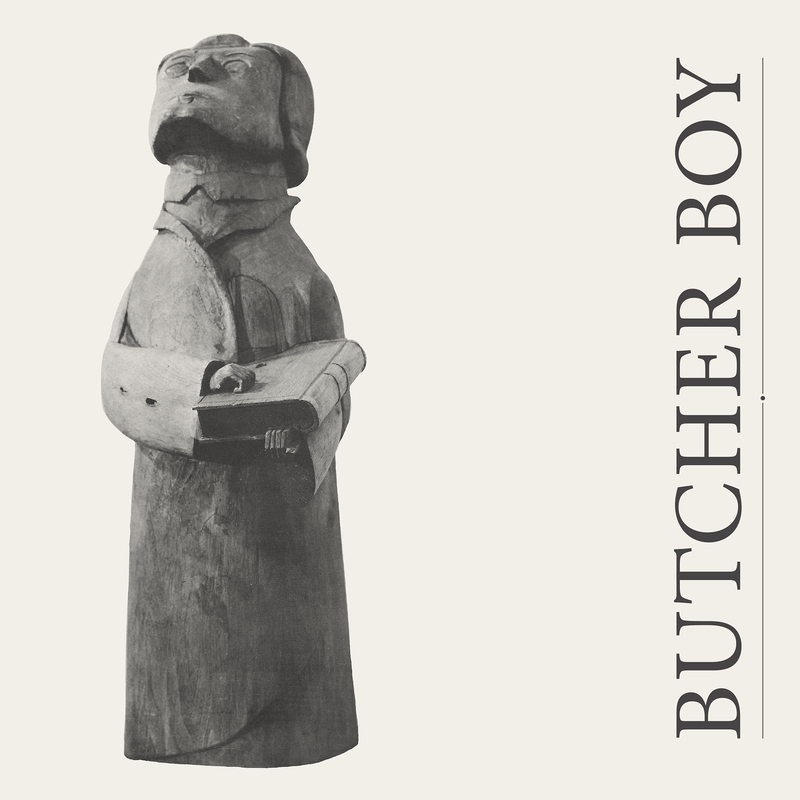 Butcher Boy was about an imaginary world of woods and darkness and absolute, precise beauty. About power-cuts and candles. But Butcher Boy wasn’t really about songs. It was a little bit of sparkle between sickness and the dole. John wrote his first proper song, called ‘Trouble And Desire’, in 1998. With John singing and playing guitar, and with Susan Vennard on piano and Andy Forrester on bass, Butcher Boy played their first show in Kilmarnock, Scotland, in December of that year. Between 1998 and 2001, John wrote over a hundred songs and played a handful of shows around Irvine in Scotland. Towards the end of 2001, it began to feel as if Butcher Boy had served its purpose. This wasn’t through lack of ambition; there simply was never any need for ambition. Susan and Andy had moved away, and John always knew that the band had come about, and the songs had been written, out of genuine necessity. The songs had made sense of a lot of slow sadness – it was never careerism. For a while, it felt like Butcher Boy wasn’t needed any more. But with time, John realised that the songs had become friends… and it hurt to leave them. With time, it became absolutely heartbreaking to leave them. So slowly, John put together a band to pick the songs up, and to play them as carefully and as fully and as passionately as he had always imagined them. An advert in the Royal Scottish Academy of Music and Drama attracted Jacqui Grant and Aoife Magee. Garry Hoggan and Alison Eales came, fortuitously, through Glasgow’s National Pop League. And Basil Pieroni and Findlay Mackinnon were friends from Ayrshire days. Butcher Boy, as it is now, rehearsed for the first time in January 2005 and played their first show together at Glasgow’s peerless Royal Air Forces Association Club on 18 February 2005. There wasn’t an immediate desire to put together a record – the main impetus was to play together, to rehearse, to create something that was worthwhile. The band played further Glasgow shows at the Ramshorn Theatre in July 2005 where they were supported by improvisational storyteller Mike Stork, and in Glasgow’s legendary Britannia Panopticon Music Hall in September 2005, where they were supported by a magician and a Punch and Judy act. 2007 was a busy year for Butcher Boy. 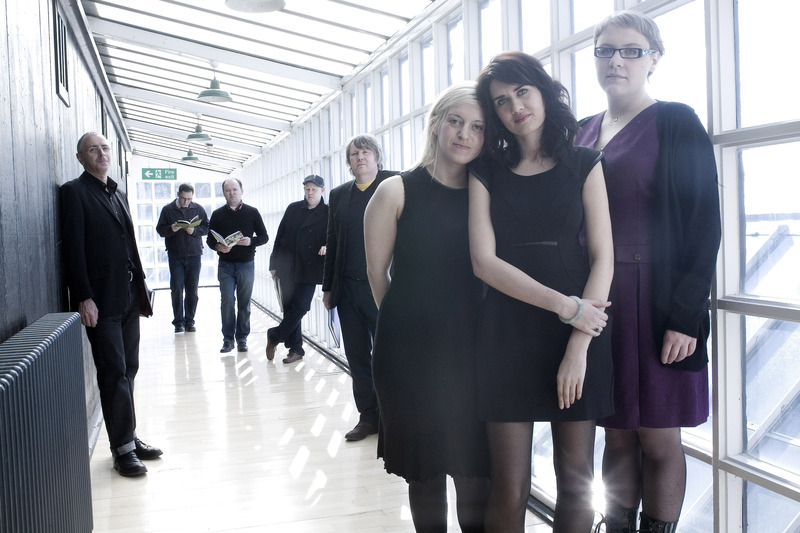 Their debut single, “Girls Make Me Sick” came out in February, and they played sold out London shows at the Windmill, Notting Hill Arts Club, and The Luminaire. Their debut album, “Profit In Your Poetry”, followed in March, to a slew of positive reviews. “Inspired by monochrome movies and bleak winters, these cello-and-viola-flecked songs transcend their Smiths, Tindersticks and Felt influences. Regret, giro-funded couplets, sensual ambiguity – it’s all here, resurrecting a great British genre,” declared Uncut. “It’s an album of immense subtlety and depth, the kind of record you can listen to fifty times and still discover hidden treasures on that fifty first spin,” said Drowned In Sound. 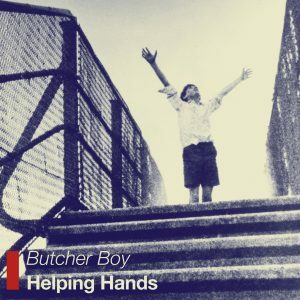 “Butcher Boy operate not so much, as has been widely suggested, in the shadow of The Smiths as in the company of Tindersticks, Pulp and Lloyd Cole And The Commotions. Theirs is a literate, bohemian music nourished by the darker strains of Sixties chart pop,” added Mail On Sunday. In September, the band announced a tour of cafés in Glasgow, to tie in with a new EP, “The Eighteenth Emergency”. The EP was available during September only, and deleted at the end of the month. 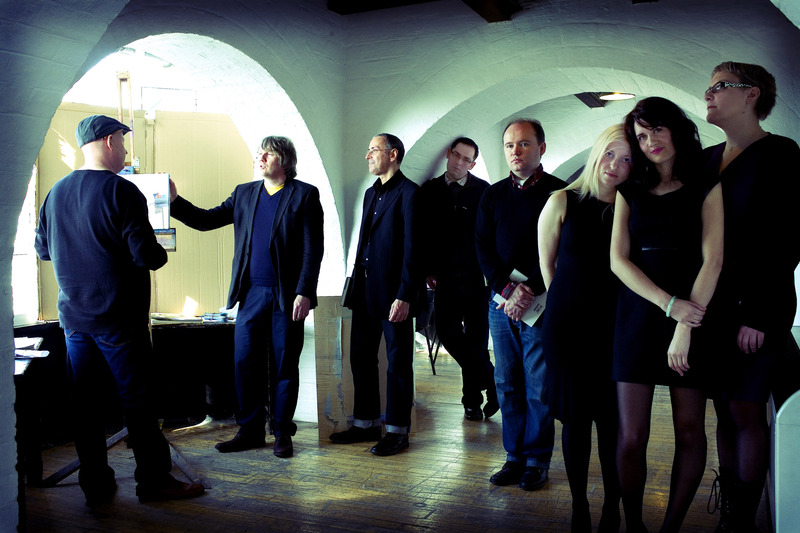 Belle & Sebastian’s Stuart Murdoch attended the Offshore café show on September 12th, and later wrote in his diary: “Butcher Boy are playing in Offshore Café. I feel a little bit emotional tonight, so I go for the racing certainty that is soft chords, poetry and gentle souls. The ambience in the café is literarily unmatched by anything I’ve experienced all summer: the transformation of the café into a listening place, the man behind the counter tiptoeing with our refreshments, the music and the 44 bus illuminating the ceiling every time it passes. It is darker inside than out. Time has slowed. Because our hearts have slowed. Because we are listening.” A UK tour followed in October, culminating in another sold out London show, this time at Metro. 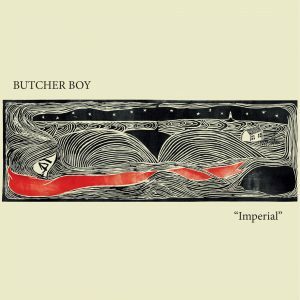 In February 2008, Butcher Boy started work on their second album, “React Or Die”, recording once again at CaVa Sound in Glasgow. In March, the band were approached by Warner Brothers, who wanted to use the song “I Know Who You Could Be” (from Butcher Boy’s debut album), on the CBS sci-fi show “Moonlight”. The show originally asked to use a minute of “I Know Who You Could Be”, but in the end the entire song was played over the closing scene of episode 14, “Click”. In fact, CBS cut the scene to fit the song, as it starts and ends with Butcher Boy’s music. After the “Moonlight” episode aired in the US on May 2nd, interest in the band skyrocketed, with thousands of people visiting Butcher Boy’s My Space, where “I Know Who You Could Be” was made available as a free download. On the strength of this interest, Red Eye distribution then approached the group about an American release. The album came out on in the US on October 7th. 2009 saw the release of React Or Die in April, preceded by a single, ‘A Better Ghost’ in March, and a tour of bowling clubs in Glasgow in February. 2011 saw the band sign to Damaged Goods with the release their third album Helping Hands on CD, along with a 7″ single ‘Imperial’. Butcher Boy can only write from the heart. 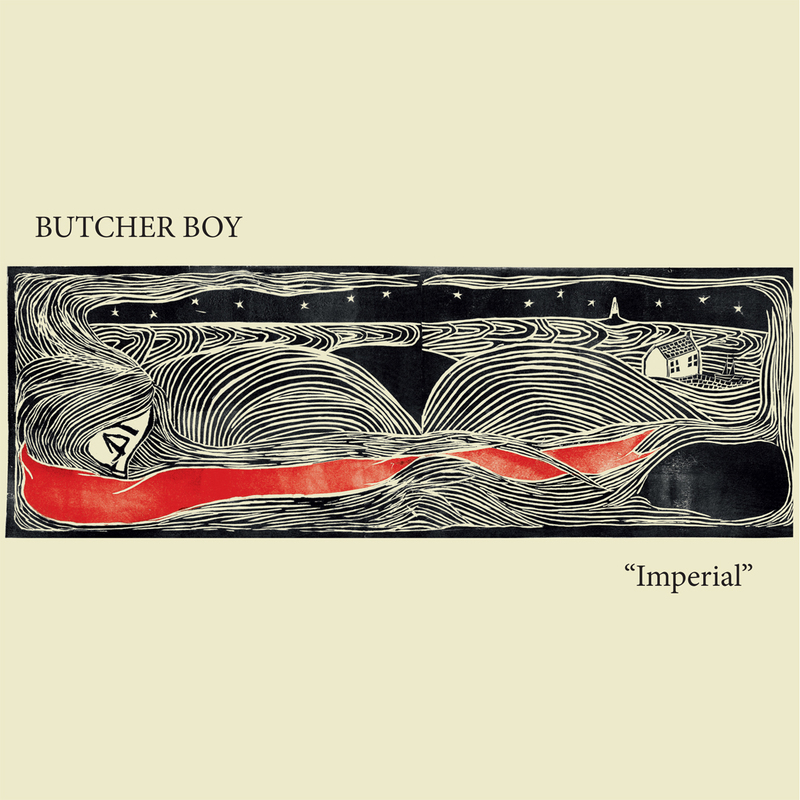 Butcher Boy has resolute faith in pop music and pop records. And Butcher Boy finds solace knowing that cynicism and irony have no part in what they try to do. The EP, released on Damaged Goods and entitled Bad Things Happen When It’s Quiet, is a three-part story told from three perspectives and was recorded in Glasgow with long-time collaborator Brian McNeill. The songs, written over the course of a series of autumn and winter trips to the Cape Cod National Seashore, feature guest vocals from Anna Miles, Moog synthesisers, a choir, a string quartet and a weather radio, bought for twenty-five cents at a holiday fair in Brewster, MA..